But Does It Make Beats? Yes we all laugh at the notion that someone would ask such a question, but given how things go in this musical climate nothing and I mean nothing that anyone would ask would surprise me. No Billy, this instrument doesn’t make beat per se, meet TONTO! TONTO is an acronym for “The Original New Timbral Orchestra,” the first, and still the largest, multitimbral polyphonic analog synthesizer in the world, designed and constructed over several years by Malcolm Cecil. 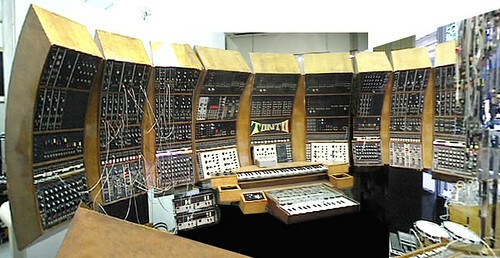 TONTO started as a Moog modular synthesizer Series III owned by record producer Robert Margouleff. Later a second Moog III was added, then four Oberheim SEMs, two ARP 2600s, modules from Serge with Moog-like panels, EMS, Roland, Yamaha, etc. 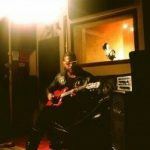 plus several custom modules designed by Serge Tcherepnin and Cecil himself – who has an electrical engineering background. Later, digital sound-generation circuitry and a collection of sequencers were added, along with MIDI control. All of this is housed in an instantly-recognizable semi-circle of huge curving wooden cabinets, twenty feet in diameter and six feet tall. 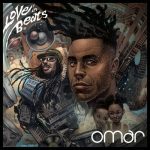 Hits by Stevie Wonder, The Isley Brothers and many others were produced using this synthesized orchestra.